The range, a U.K. Based home, hardware and garden superstore is to open at the former Altlantic Homecare store in the Childers Retail Park on the Childers Road in Limerick. 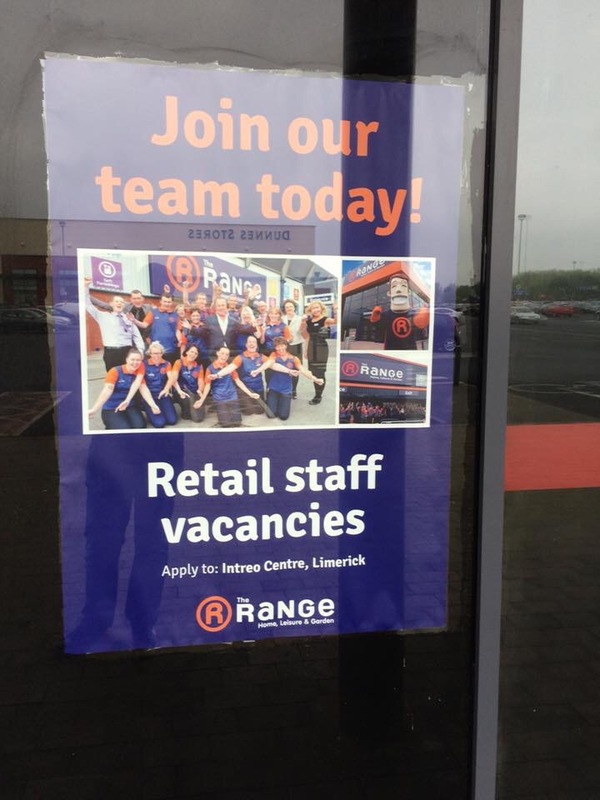 The Range is currently recruiting staff through Intreo Limerick. The company offers garden, Homecare and home improvement equipment and supplies and is to be located where Altamtic Homeware closed over four years ago. The Childers Road complex including this sizeable store was bought by Irish Life last month following a bidding war with local developers the McNamara family. It was sold for approximately €49 million euro. how so i apply for a position ?? there is no email i can send my cv to ?